In top gear your car will do approximately 20 miles per hour per 1000 rpm, so at 60 miles an hour which is a mile a minute your car will do 3000 revolutions for every mile, so if your car does 100,000 miles it will have turned over more than 300,000,000 times at a minimum, as in lower gears your car will do more revolutions per mile (and it will have taken you more than 70 days to do this) and each piston, which travels around 14 cm per revolution, will have travelled approx 26,250 miles (approximately once around the world). What however is most remarkable is that the piston rings which are made of metal and are running in a metal bore don't wear out, while the crank spins in white metal bearings with less than a hairs breadth clearance and pistons pushing down on them exerting huge pressures and still these thin metal bearings don't weld themselves to the crank. The engineers at Alfa Romeo have used some very clever processes and materials in order to allow you to do this sort of mileage reliably. I am going to try and cover in this article three different areas of potential wear, the main engine bearings, the piston rings and the valves and valve guides all of which use slightly different methods to prevent wear. 1. 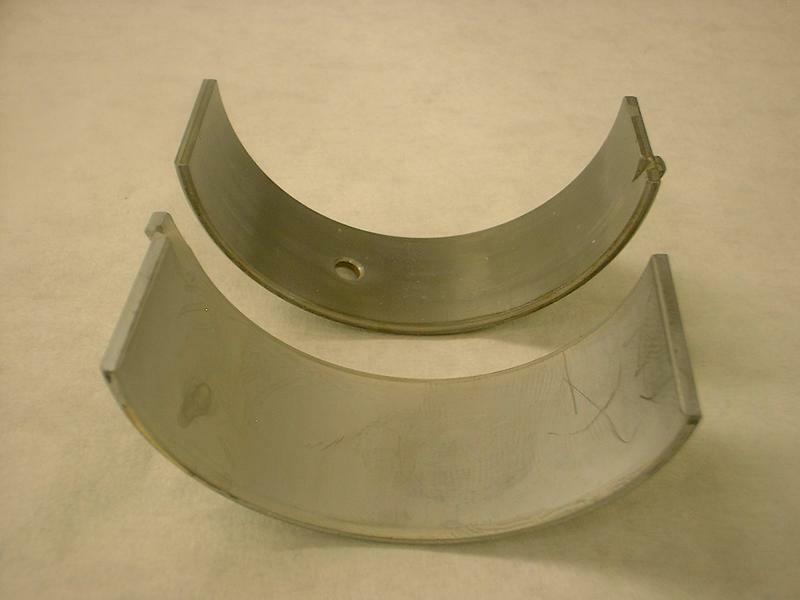 Engine main and big end bearings, these are hydrodynamic bearings this means that the bearing surfaces are separated from each other by a layer of lubricant. In practice the bearing is supplied with oil from the oil pump and the top layer of the bearing is made from babbit metal, this is an alloy of tin, antimony, copper and lead this alloy has some very important properties, it has "wettability" the lubricant is able to be absorbed into it, embeddability an ability to absorb small particles of dirt without increasing bearing or crankshaft wear, seizure resistance it must not weld itself to the crankshaft material even under extreme loads or large spinning speeds and lastly it must be able to be run slightly out of alignment without wearing out. This layer of babbit metal is only 20 microns (200th of a mm) thick and it is then put on a layer of Nickel and then there is a layer of lead bronze and finally this is all mounted in a steel backing shell. Your crank then spins freely in these bearings, without the pistons and con rods attached you can turn it easily by hand. 2. Piston rings, there are three of these, and they are nearly always made of three different materials the lower one, the oil control ring is the bottom ring and this has significant amounts of lubricant but its job is to stop lubricant reaching the compression rings above it which makes life a little difficult for the compression rings. 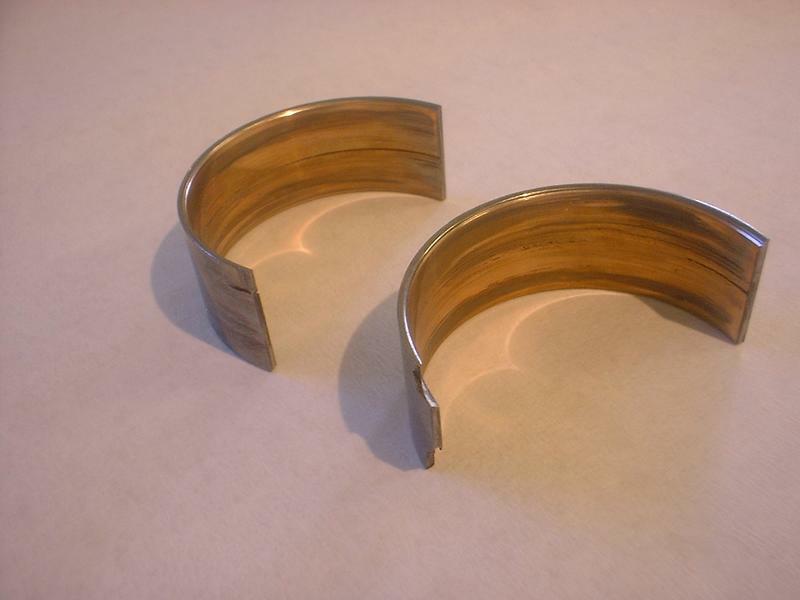 The compression rings therefore have to work in an environment where there is very little oil. Almost always the upper and lower compression rings are made from different materials, the lower one is usually an alloy of chrome, while the upper one is usually an alloy of iron which is quite brittle. Wear is prevented by an oil layer absorbed in the surface of the bore and piston rings, this layer is not constantly changed but it is replenished as the piston goes up and down, the crankshaft splashes the lubricant that is fed to it by the oil pump all over the inside engine. This wets the bores and the polar nature of the lubricant, its ability to adhere to metal, then provides a layer for the piston rings to run on. 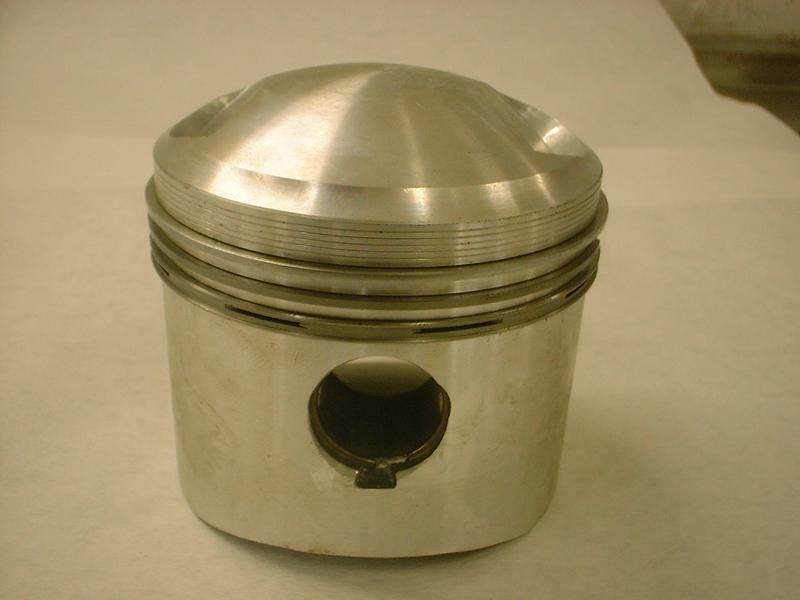 The reciprocating nature of the piston means that there is some transfer of lubricant from the cylinder wall to the piston ring and this is all that stops the pistons from seizing in the bore. On a modern Alfa Romeo engine there is so little wear on these parts that you will often find the hone marks on the inside of the bore after 100,000 miles and this is often the reason that these engines use small amounts of oil. 3. 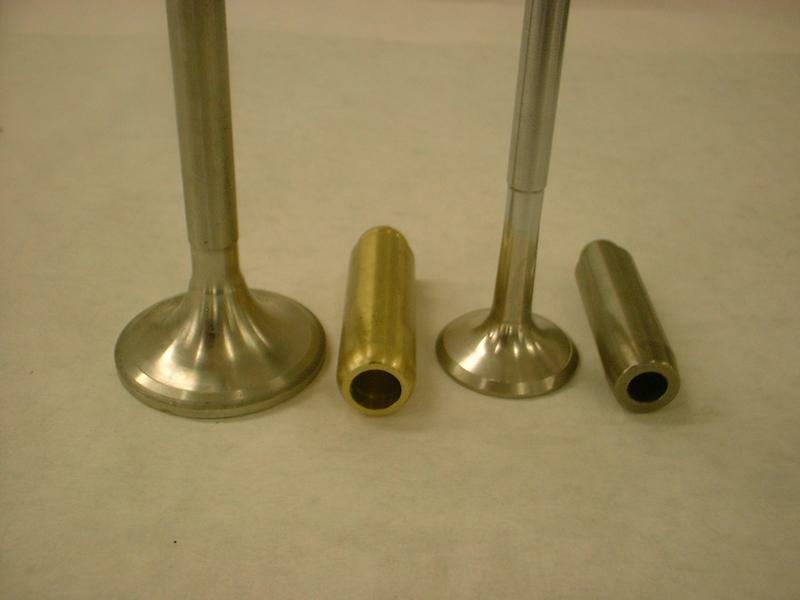 Valves and valve guides, these have to survive in some of the harshest environments in an engine the exhaust valve and guide have the worst time. They have to operate from below freezing to around 1000 degree's centigrade what is more the gas is at a pressure in excess of 100 psi this gas forces itself up the guide and so coats the inside of the guide with deposits of carbon. The guide and the valve seat also have to conduct heat away from the valve to prevent it from melting. 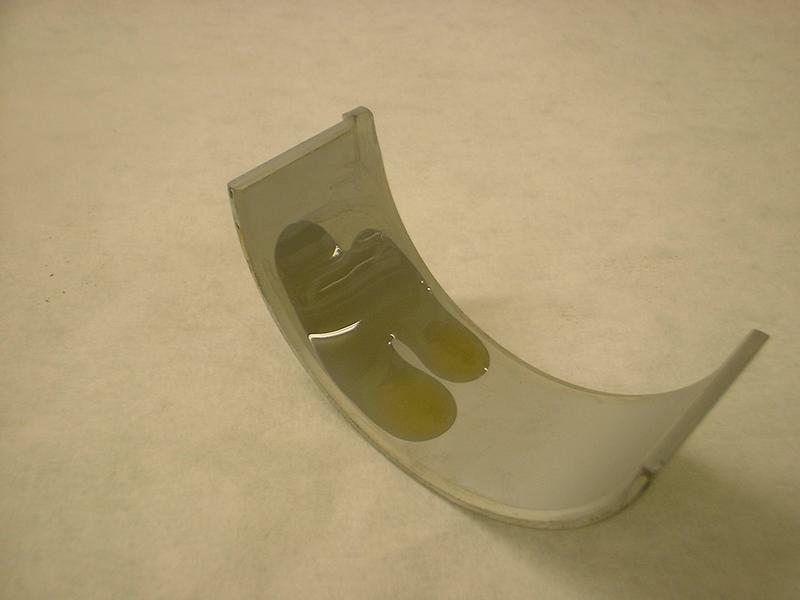 The guides are made of sintered metals, these metals are highly porous and can absorb lubricant and retain it while they also have some self lubricating qualities. The guide also conducts heat from the valve head into the water jacket, this process is helped by filling the valve with sodium, this melts at high temperature and conducts heat from the valve head to the valve seat and stem where the heat is transferred to the water jacket of the engine and eventually to the radiator. Inside the engine there are three main categories of bearing and they are largely categorised by the way they are lubricated, forced lubrication, splash lubrication and self lubrication. surprisingly there are almost no roller or ball bearings inside your engine this is because they are much more susceptible to damage by contamination as well as being quite noisy and expensive to produce, so now it only remains for you to go and check that vital lubricant in your car.